Eloise and Ruan's wedding was something out of a fairytale. The beautiful venue of Diamant Estate was the perfect setting for their celebration. There were many tears of joy shed as these two made vows to each other, before God and all their family and friends. It was so special to witness their two families joining together. What an honour it was to share in their day and capture these memories. Wishing you two all the very best with your adventures ahead. I had so much fun capturing Kim and Byron's engagement shoot that I knew their wedding day would be even more amazing, Their reception was held at the Venue at Pearl Mountain with incredible views over Paarl. There were many aspects of the day that made it true to their laid back and fun personalities. The first one being that Byron and his groomsmen got ready at an awesome Barber Shop in Paarl. It was really something unique and fun. The barbers ensured that they were well groomed for the big day. Another touch were these little tortoises made out of champagne cork caps scattered on the tables. Byron made one for Kim on the night they first met. The love these two share and the way they were so natural in front of the camera made my job super easy. Congratulations again you two! 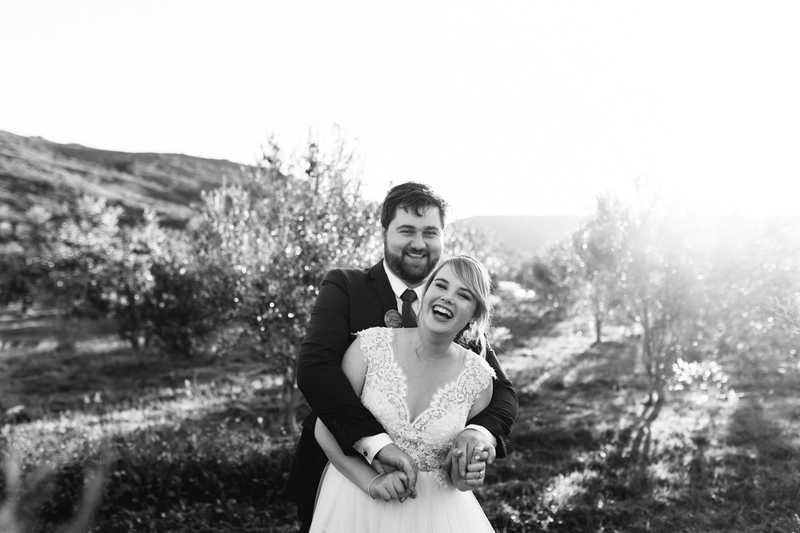 Janina and Monré were married at the incredible venue of De Uijlenes in Gansbaai. These two have an amazing love story. Janina is from Germany and Monré is from South Africa.